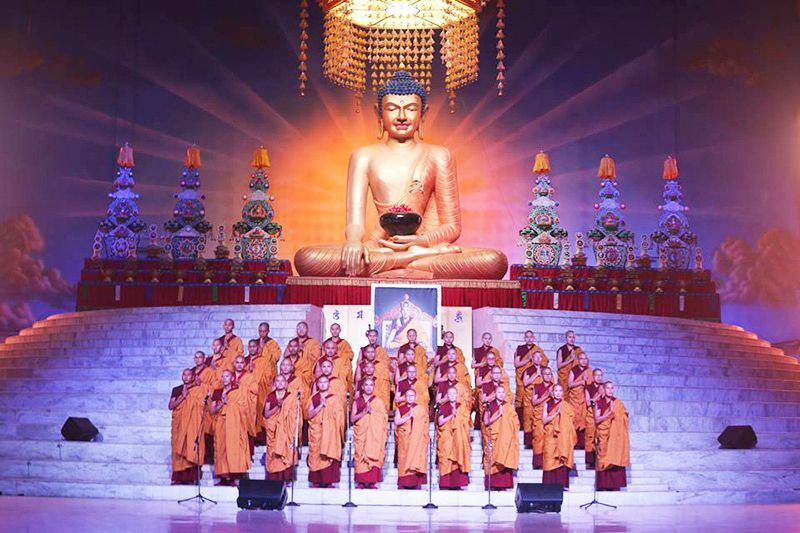 During the Kagyu Monlam there are three main humanitarian projects designed to help the local people and to alleviate suffering in Bodhgaya and its environs: the Animal Medical Camp, the Medical Camp and the Soup Kitchen. 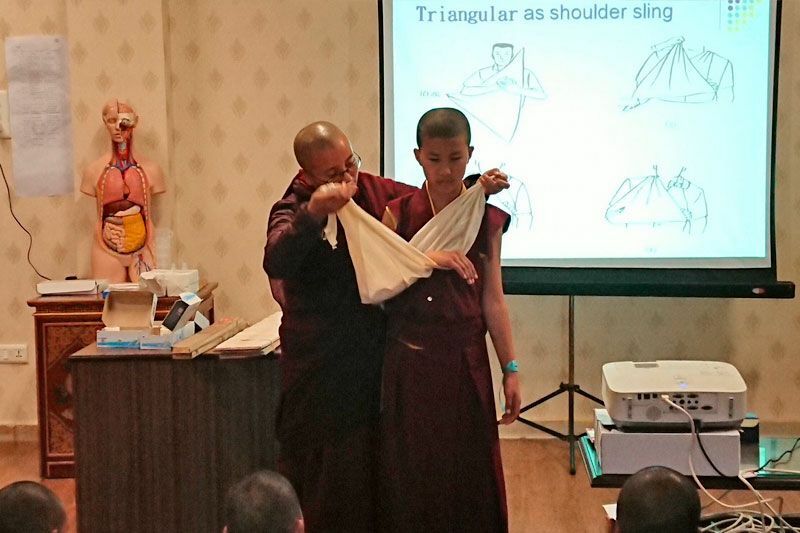 The last one is run by students of the late Akong Rinpoche in conjunction with the Kagyupa International Monlam Trust. For some time, however, those involved in the Soup Kitchen have been concerned that though these three projects bring some short term relief from suffering, there is an endless need, and they wanted to explore what more could be done to improve the lives of these people. They live in this sacred place of Lord Buddha but many of them suffer from hunger, heat, ill health, lack of clean water and minimal opportunities for education. Consequently, last year saw the beginning of a new initiative to improve facilities at the Kasturba Gandhi Vidyalaya girls’ hostel at Baseri girls, where 99 girls from age 11 to 14 live together. The project is jointly organised and sponsored by students of Akong Rinpoche and the Kagyupa International Monlam Trust. All of these girls are from families in the area who live below the poverty line— defined as a family living on less then approximately 80 rupees per day, which is hard to imagine! The girls live together in this government subsidised hostel in order to be able to attend the local school. Though the facilities at the hostel are quite basic, staff and girls are very positive. The hostel makes it possible for these girls to access education and provides a wonderful opportunity for them to live and learn together. 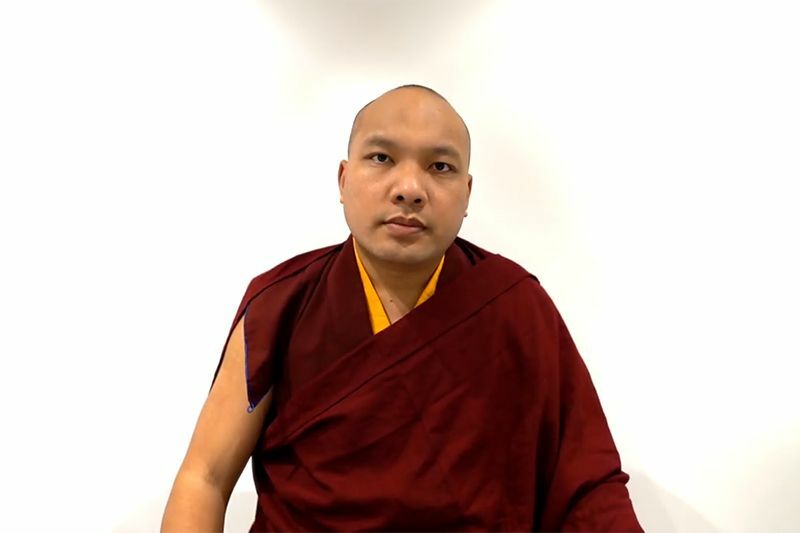 Last year Lama Chodrak, CEO of Kagyu Monlam, took time out from his many duties at the Monlam Pavillion to give his support to the humanitarian projects at the girls’ hostel: the completion of the installation of much needed cooling fans to the bedrooms, washing facilities in the bathrooms, and a drinking water purification system. This year Lama Chodrak and the sponsors returned to the hostel to monitor how these improvements were functioning and found that they had made a really big difference to the quality of the lives of the girls in the hostel. They were accompanied by a highly motivated young woman called Dechen, who works for an organisation called “Going to School”. Dechen is a support worker who helps teach the girls entrepreneurial skills through stories and games so that some of them will be able to establish micro businesses when they return to their villages. Lama Chodrak and the sponsor team presented the girls with sports equipment, drawing books and pencils. Taking Dechen’s advice on what is needed, they will also start a pilot scheme to supply sanitary towels for the girls – at this level of poverty even the most basic needs are not readily available. 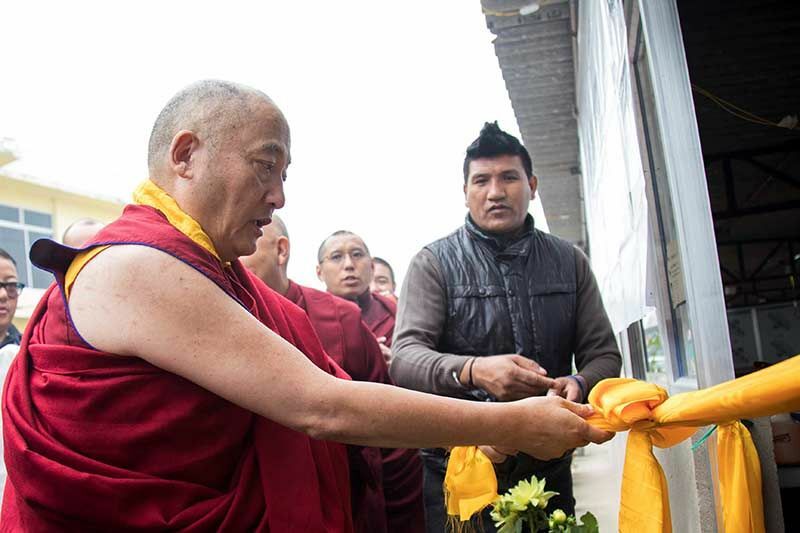 Jangchub Lingpa from the Kagyu Monlam administration team, is on hand in and around Bodhgaya to check that funds are being well used and to look for new opportunities to make a difference. He identified another Kasturba Gandhi Hostel at Dobhi around 20 kilometres form Bodhgaya so the project organisers have commissioned cooling fans, washing facilities and a water purification system there, to build on the success at Baseri. Another project aimed at giving something back to the local people in Bodhgaya, though not girls this time, is the solar powered hot water system that has been installed at the All India Bikkhu Centre. This Centre belongs to the organisation founded by Dr Ambedkar in order to train people to teach Dharma to the Dalits. 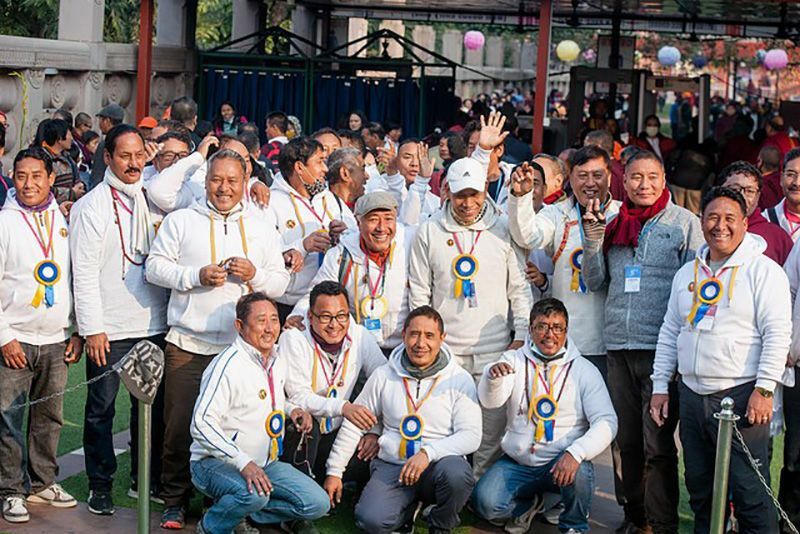 The hot water system is a ‘thank you’ to their leader, Bikkhu Pragya Deep, for allowing the grounds to be used each year for the Soup Kitchen. The pilgrims who come to study and practice there do not expect luxury but they really appreciate the abundant hot water. It is great to see that the energy of the sun is being put to good use and continues to function very well. I am so pleased that we are able to honour our teacher Akong Tulku Rinpoche through continuing his compassionate activity. It is wonderful to be able to contribute to His Holiness Karmapa’s vision of a world where we all look after each other in recognition of our interconnectedness through the practical action of planting a few seeds of human kindness here in Bodhgaya.